Statins — these are drugs commonly prescribed for people whose bad cholesterol levels are higher than normal. While very powerful at taking back the levels of bad cholesterol below what’s regarded as the limit, statins do not come without side effects, many of which can be quite uncomfortable. Some of them include dizziness, muscle pain and digestives issues. It’s possible for the liver to end up damaged, too. Clearly, the risks of taking statins easily outweigh the perks. The good news is it’s very much possible for the levels of bad cholesterol in your blood to be lowered through some all-natural means, provided that they are not that high. Brewing and consuming certain herbal teas can help in lowering bad cholesterol levels effectively, according to numerous scientific investigations. So if you are told by your doctor that your bad cholesterol levels do not look pretty, ask him or her if it’s fine for you to skip the statins and instead regularly consume herbal teas. Just got his or her go signal? Then keep on reading this article. Below you will come across some herbal teas that can help lower those bad cholesterol levels of yours. See also: How Does High Cholesterol Harm Your Legs? Everyone knows that a cup of ginger tea is a phenomenal home remedy for an assortment of common digestive problems such as indigestion, nausea, vomiting and diarrhea. Did you know that its anti-inflammatory properties also make it an excellent reducer of bad cholesterol levels in your bloodstream? A cousin to ginger, turmeric also has superb anti-inflammatory abilities. 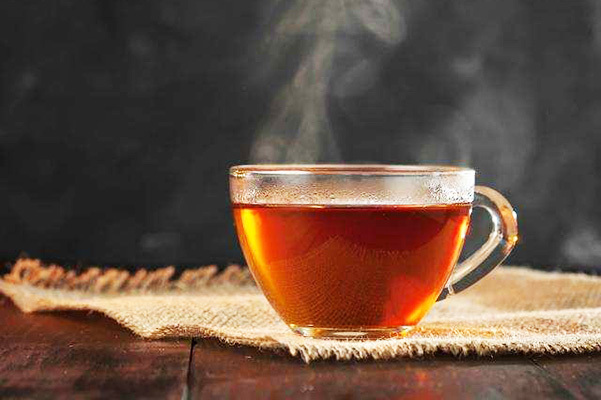 It’s no wonder why taking it in tea form on a regular basis can help beat high levels of bad cholesterol. According to traditional healers, turmeric tea is best prepared with a little black pepper for superb absorption of its incredibly beneficial components. It’s no secret that garlic is an age-old natural thinner of the blood, and that’s why it can fend off blood clots, heart disease and stroke. According to studies, garlic is also capable of lowering bad cholesterol levels. Unfortunately, you should skip consuming garlic tea if you are taking blood-thinning medications. So many people know that milk thistle tea is good for those who are battling all kinds of problems concerning the liver as well as the gallbladder. However, not a lot are aware of the fact that it’s also capable of keeping the heart out of harm’s way. That’s because milk thistle tea is something that can assist in lowering bad cholesterol levels. Consider yourself lucky if you have dandelions growing in your garden. That’s because you have easy access to a powerful home remedy for elevated bad cholesterol levels — dandelion roots. Boiling chopped up dandelion roots produces a brew that is capable of keeping high bad cholesterol at bay. Especially after consuming something that contains bad cholesterol, it’s a good idea for you to immediately brew and take a cup of alfalfa tea. According to scientists, it helps keep some of the bad cholesterol obtained via your diet from being absorbed by your digestive tract. Of course minding what you put in your mouth comes first. Don’t let its delightful aroma fool you — cinnamon tea is tough on bad cholesterol! Needless to say, you may add a cup of it to your diet on a regular basis if your goal is to bring down the levels of bad cholesterol in your blood. By the way, cinnamon tea is also good for digestive issues, high blood sugar levels and joint pain. WARNING: If you’re prescribed with statins, do not stop taking them without first getting the permission of your doctor. The various herbal teas mentioned above can lower your bad cholesterol levels much better if you pair their regular intake with healthy eating habits and regular exercise.